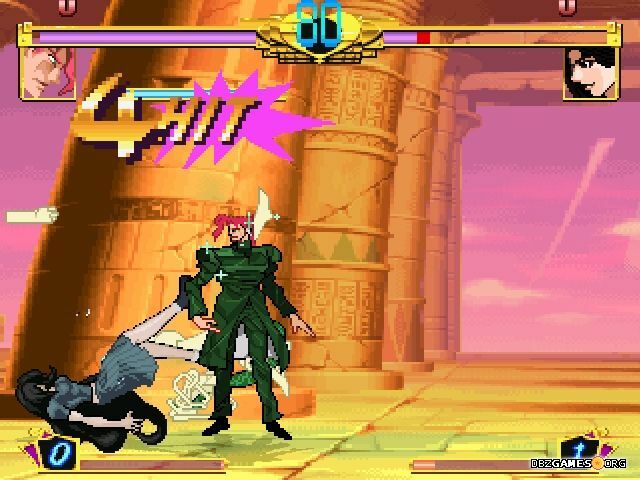 Jojo's Bizarre Adventure Mugen is a classic fighting game developed with Mugen engine made by Iver Stone based on screenpack by gui0007. 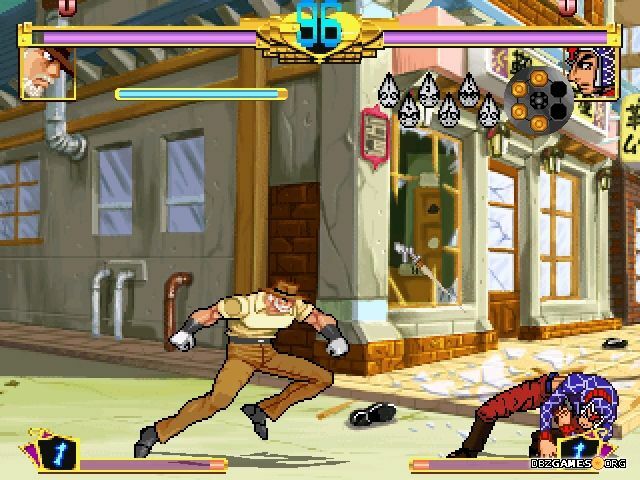 The game includes characters from one of the best-selling Weekly Shōnen Jump manga series, Jojo's Bizarre Adventure. Joestars family members and heroes met on their way will fight in one arena and it's up to you who will lead you to the win. This is the beginning of the battle between warriors from different generations which share one common feature - incredible power! 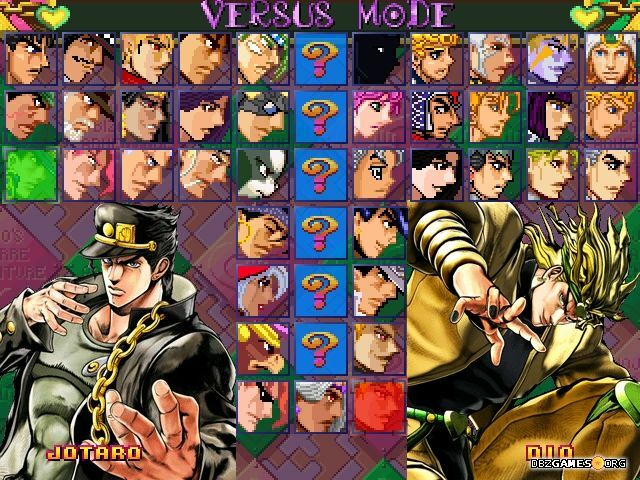 The game includes heroes from the first five parts of the manga by Hirohiko Araki and the first four anime seasons. 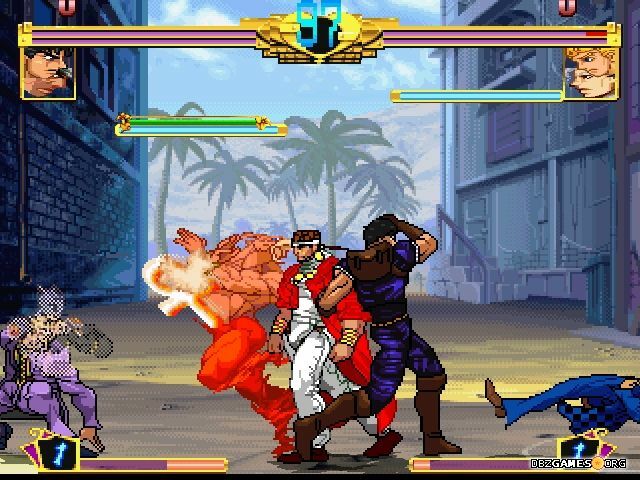 You'll meet here Jonathan, Joseph, Jotaro, Josuke, and Giorno, as well as all key characters and opponents who appeared during their adventures. All heroes use their iconic abilities that we know from the manga and anime episodes, so you can expect a lot of MUDA MUDA MUDA and ORA ORA ORA. 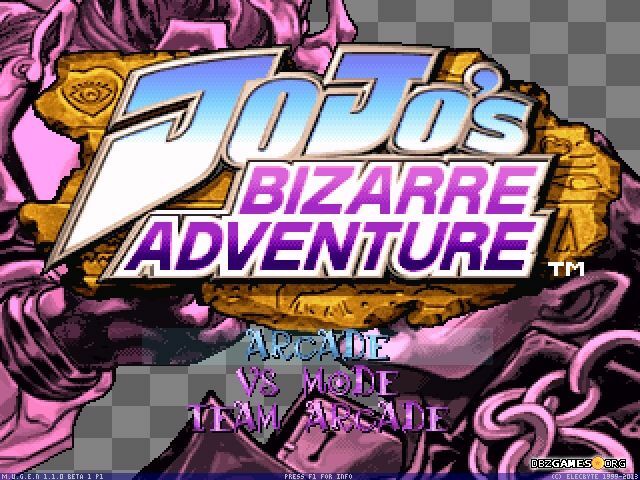 Regardless of which part of Jojo's Bizarre Adventure you like the most and which powers are the most exciting for you, you'll find them all in this game and you can use them against your opponents as you want. You can choose from a total of 39 playable characters, including many variants of some of them from different moments of the story. The struggles take place on 25 different stages, which are both well and less known places from the franchise. 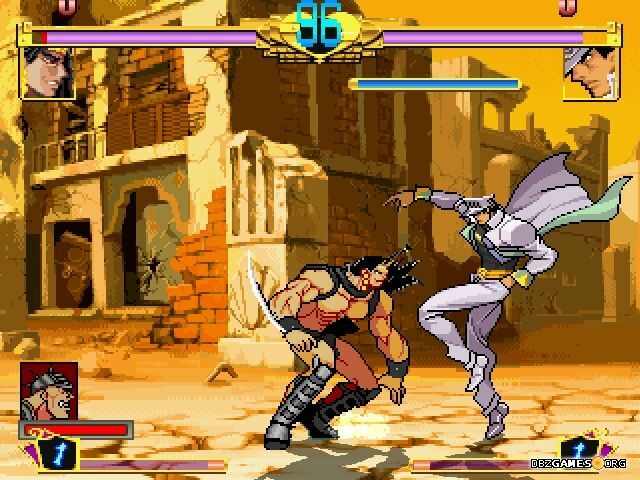 Like almost every Mugen game, Jojo's Bizarre Adventure Mugen allows you to play in many different modes solo, but also with the other player on one PC. 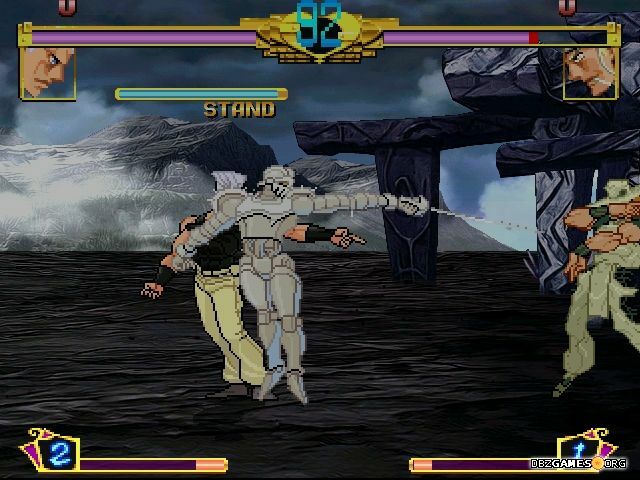 Arcade is a typical series of fights with random opponents controlled by computer AI. If you're a really ambitious fighter, you may be interested in the Survival mode, which works similar to Arcade, but your health is not renewed after the fight. The greatest fun begins when a second player joins the game. You can stand up to a duel and check out which of you is a better fighter or cooperate and fight with opponent teams in exciting 2-versus-2 battles. It's worth to start with the Training mode in which you can safely practice the basic and special moves of all characters. 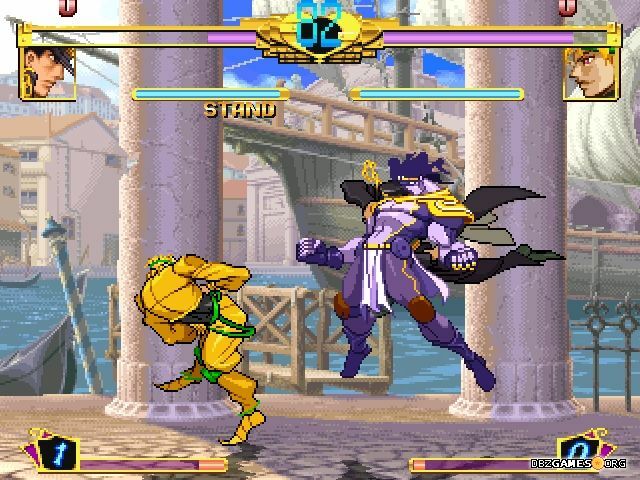 If you are a true fan of the adventures of Joestar family members, check out also Jojo's Bizarre Adventure Ultimate Mugen HD in which you'll find even more of your favorite characters. If you want to play the game on fullscreen, go to data folder and open mugen.cfg in Notepad. Find the line FullScreen = 0 and change it to FullScreen = 1. Save and close the file. Now the game will start in fullscreen mode.